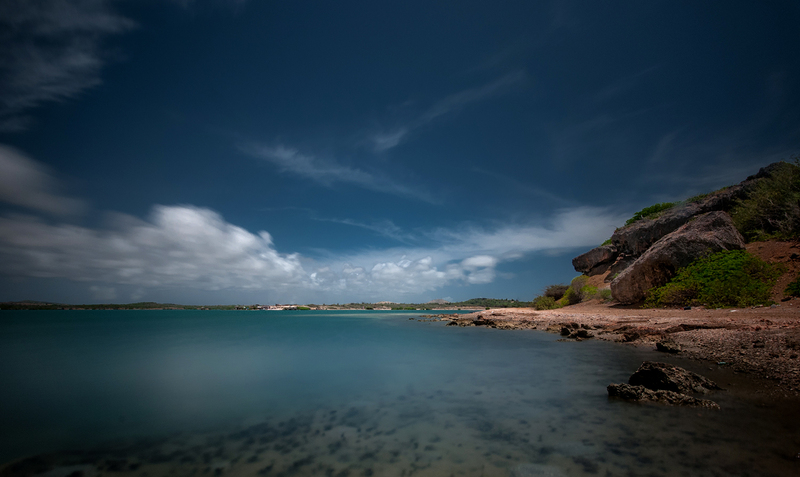 St. Jorisbaai is one of the beautiful locations on Curaçao. Driving directions are very easy. From the Sta. Rosaweg take a left turn at the big crossing towrds Koraal Tabak. Keep driving this road (direction to restaurant Aldea) until the road ends and goes into a dirt road. Keep driving until you see the sign Endless Summer Sports Festival. At St. Jorisbaai, a few windsurfing fanatics started in 2008 with building a little hut on the beach to have some shadow when sitting on the beach after a good windsurfing session. After a while there were more people coming to windsurf or to sit on the beach and watch the windsurfers. The hut became too small so a bigger hut was built and over the past years a windsurftown grew at the St. Jorisbaai. At the moment the ‘Old School Windsurfers’ group consist of about 30 people including friends and family. The land on which the s urftown is situated is owned by the Bakhuis family. Despite it is private property, people are allowed to enter the land and go to the windsurfing beach. The beach is maintained and operated only by volunteers and people who love the nature around the St. Jorisbaai. 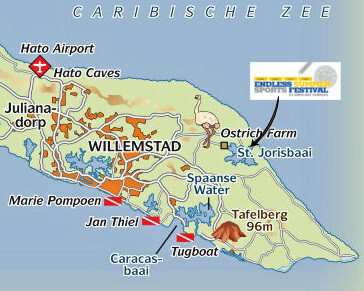 Because of that it has become one of the special spots on Curaçao. Here’s a St. Joris windsurfing impression.